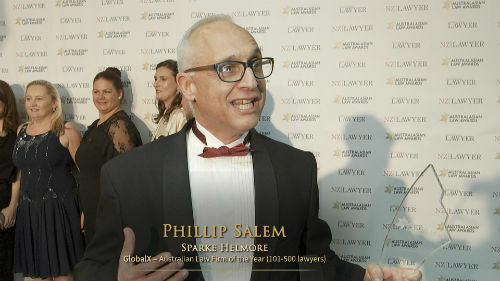 Harmers Workplace Lawyers chairman Michael Harmer told Australasian Lawyer that incidents of sexual harassment in law firms and the wider profession over the last 12 months indicated the issue was still very much “a major problem”. “Among major firms, a number of matters over the last 12 months would be right up there with abject conduct in this area that would surprise people,” Harmer said. Harmers Workplace Lawyers is a firm that on most occasions acts either for or against most of the major law firms in the country in such matters. Harmer said anecdotal evidence showed that “a number of firms” were still utilising “highly sexualised” entertainment to lubricate client business deals – particularly overseas in Asia, where more licence was often being taken by practitioners. In such environments, male partners – who would otherwise be seen as “leading practitioners” – were at times exposing female colleagues to questionable behaviour. Harmer is particularly scathing of the Bar, saying it was an area of the profession that remained a “male bastion”, and was at times “highly sexist”. He said the conduct of a number of members of the Bar was an “absolute disgrace” in this area. Sexual harassment and discrimination is a part of industry culture, according to Harmer, as it remains male dominated, with women poorly represented in senior positions. He said that sexual discrimination - particularly in areas such as the taking of parental leave - meant that the legal industry was only showing “slow progress” in increasing the flow of female graduates into more senior and leadership roles. Harmer suggested solutions to the problem included the types of sound corporate governance practices that law firms would recommend to their own clients. He recommended the creation of a set of principles that could be adopted by firms to allow them to benchmark their progress and management of the area.